Hello Everyone and happy Tuesday! Here it is Tuesday already. Where'd the weekend go? Today I have another card I printed using My Ditigal Studio and the Summertime Splendor designer kit. 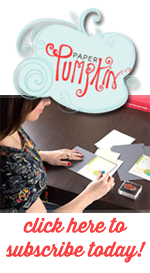 This card is a regular A2 card and the inspiration card can be found here. 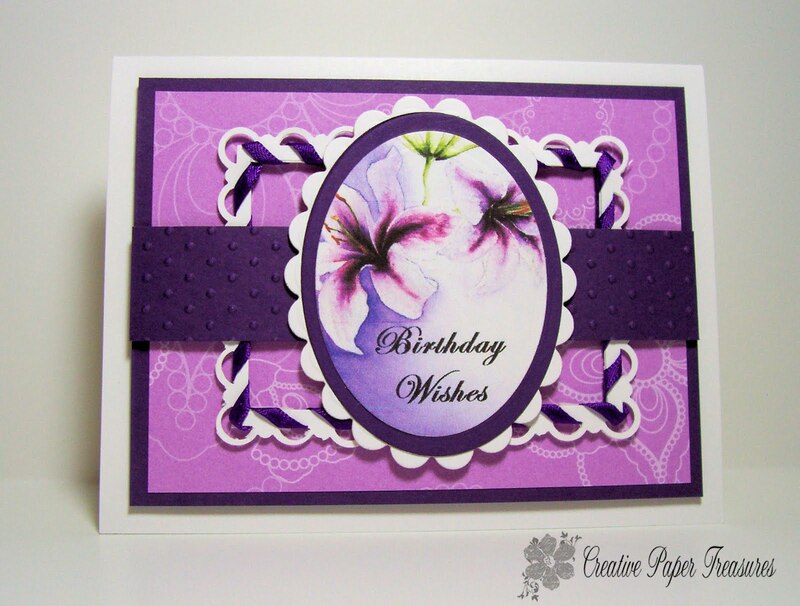 I used 8 1/2 x 5 1/2 piece of Whisper white cardstock scored at 4 1/4 inches for my card base. One of the pretty print designer paper from Shades of Spring was cut to 3 1/2 x 4 3/4 and is matted on a 5 x 3 3/4 piece Elegant Eggplant. The frame was created by using Stampin Up scallop corner and border punch on a 3 13/16 x 2 7/8 inch piece of whisper white. After punching the scallops all around, I cut out the middle and wove some 1/8 inch ribbon from my stash around the frame. 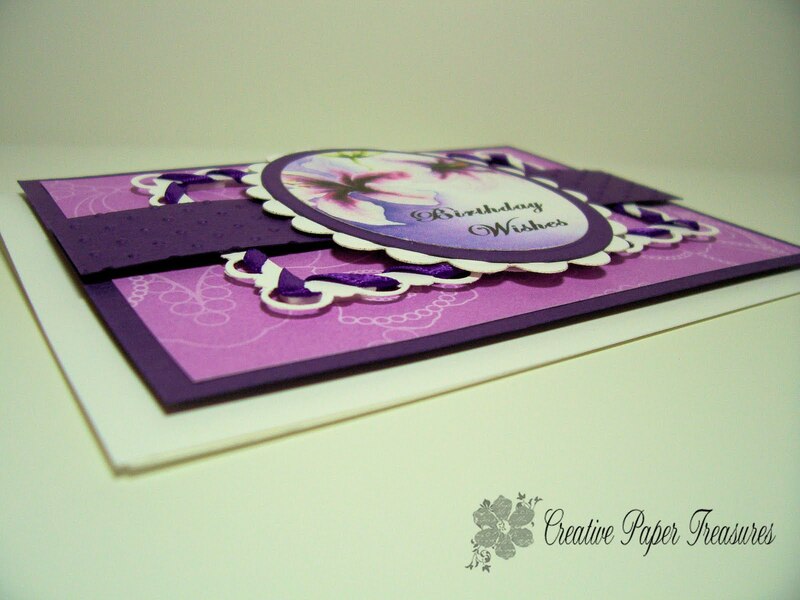 The Elegant Eggplant strip behind the image is 1 x 5 inches and embossed with Stampin Up Perfect Polka Dot embossing folder. The image was printed from MDS using the Elegance font for the greeting and the Summertime Splendor download designer kit. Spellbinder dies were used to cut the image and ovals. Here is a close up of the side of the card. I used SU dimensional to raise each layer. 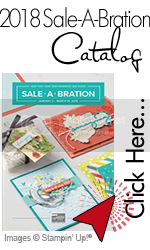 Accessories: MDS, SU Dimensional, SU Scallop corner and border punch, SU Perfect Polka Dot EF, Spellbinder dies, Ribbon from stash. I hope you like todays project. Please let me know if you do. 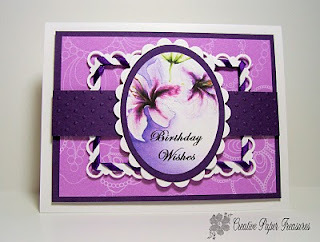 Happy stamping and have a great day! Diane, this card is gorgeous! I love how you wove the ribbon around the scalloped edging...very creative!